The countdown is almost over – only two more days and then the UEFA EURO in Poland and Ukraine starts with the opening match in Warsaw between Poland and Greece. There are a lot of discussions about human rights around this EURO. Topics like the case of Julia Timoschenko or the recently broadcasted BBC-documentary which heated the debate about racism and anti-semitism in the host countries are well discussed in media. At the same time the first ever Pride Parade in Ukraine should have taken place but was cancelled on short notice because of homophobic violence. Two LGBT-activists were beaten up brutally by ultra-right groups. Reason enough to turn a spotlight on the situation of LGBTIQ community in CEE countries (Central and Eastern European countries), and thats the focus of the Football for Equality-project. 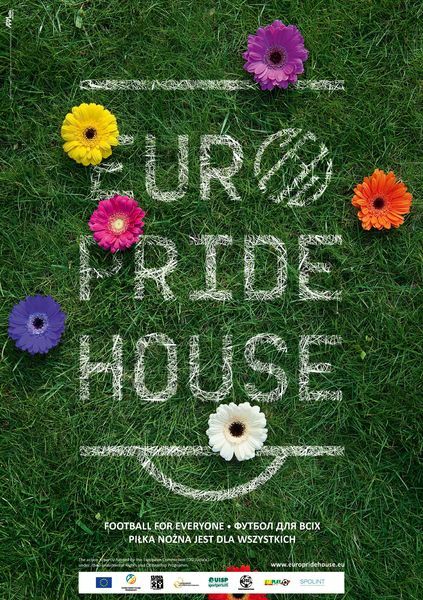 The Euro Pride House in Poland is an initiative of the European Gay and Lesbian Sports Federation. It is meant to be a meeting point for LGBTIQs, to create safe spaces for queer fans that visit the EURO and who wish to celebrate football together. The concept behind the Euro Pride House is to raise awareness of the involvement of LGBTIQ people in football as supporters and participants and to create a dialogue amongst football stakeholders on homophobia and transphobia particularly in Eastern Europe. The launch of the Pride House will take place on Friday 8 June in Warsaw. Guests will include activists, football supporters, politicians and representatives from within football. Throughout June Euro Pride House will screen matches, host a table football tournament and host a range of debates and networking events. Also the exhibition Against the Rules - Lesbians and Gays in Sport will be shown in the Pride House in Polish language! UEFA’s Respect Fan Culture project will support football fans throughout next summer's finals. With the collaboration of Football Supporters Europe (FSE), fan embassies will be set up in the eight host cities to serve as places where fans can seek assistance with last-minute travel and accommodation arrangements as well as aid in unforeseen circumstances. Supporters of participating countries will also have their own mobile fan embassies (12 teams) that will move from stadium to stadium. 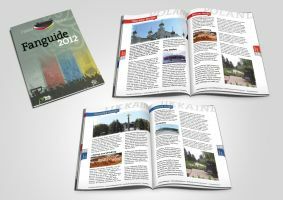 Fan guides and fanguide maps in 15 different languages will be produced. This international Fans' Embassy project is organised by FSE - Football Supporters Europe. Before the EURO workshops on discrimination, homophobia and racism have been organised for Fans´ Embassies´ staff together with the project partner EGLSF. Within the printed and also within the online-fanguides there will me anti-discrimination sections which focus on problems of minorities, and what fans can expect and what safe behaviour is recommended, within th twei host countries Poland and Ukraine.